I don’t know about you, but I feel my stomach start to knot up and a bit of anxiousness creep in during the last few weeks of July. I call these feelings my “teacher fears.” Ah, I can’t help it. I’m a perfectionist and I want my room, my lessons, my hair (LOL) EVERYTHING to be PERFECT. Over the years I’ve learned to let it go (long before it was a song), and I’ve come to realize that the best way to face my teacher fear is to face those fears head-on. And, I’m guessing most teachers have some kind of back to school teacher fear. So how do I conquer those teacher fears? Let’s chat about my three top back to school teacher fears. Honestly, is anyone ever completely ready? Doesn’t something always change at the last minute? Like the car tire going flat, a kid throwing up, or the dog runs away just as you’re leaving? It’s TRUE—there is NO PERFECT DAY! Preplanning: Check out this list of things you can do ahead of time to minimize demands on your time and lessen stress during those first few weeks of school. Food. Plan a menu rotation that’s easy to “digest.” Keep reading to find my FREE GET READY FOR BACK TO SCHOOL PLANNER! House. Get all repairs and cleaning done before you even go to set up your classroom. Break down house tasks so that you spread them out over the summer and don’t get overwhelmed trying to clean the house the same week you’re going in to set up your classroom. Errands & Appointments. I take care of all of my major medical appointments during the early weeks in June. That way, I don’t have to worry about them during the school year. I also try to get any large repairs or projects done during the summer too. My number one goal at the beginning of the year is to get students excited about music class. This year my theme is “MUSIC AROUND THE WORLD,” but I’m using a Superhero Theme for my rules and classroom management. I use these classroom reward charts. You can get them for free by SUBSCRIBING HERE. The students really liked my picture with the top hat and glasses. It brought smiles to their faces and helped them relax and feel comfortable in my room. Although I change the theme every year, I use a standard set of materials to teach the rules, hello songs and most of the games for each grade level. I’ll be using these resources during the first weeks of school because it has lessons for each grade level. What Are Your Back to School Activities? Here is a BACK TO SCHOOL freebie you can use with your students when you SUBSCRIBE TO THE FREE RESOURCE LIBRARY. Then I have to face the teacher fear that I dread the most. Setting up the classroom again! Classroom Setup. I typically don’t go in over the summer to work. (Mainly because most of my lessons are now digital and my room is the last to get cleaned.) But I do print any new decor out before I go into the classroom—or make a special trip to get all of those types of items ready to put up. I spend only a couple hours a day over 3 days and break the tasks down to make them more manageable. DAY 3: Notebook Planner, Lessons for the first month, miscellaneous printing jobs like class charts etc. Planner and Notebook. I typically prepare this before the end of the school year. That way when I come in to start a new year it’s ready to go. I put all of the vacations in my calendar, concert dates and other school events. I find that the more ready I have my planner, the less pressure there is to get it done before I see the students. I also print all of my classroom organization papers too. I have my class charts and folders ready for the new school year. Don’t freak out if you haven’t done this yet! Below are some samples of my Music Class Planner. You can purchase this bundle here. Consider working on it while watching a movie or something. I recommend getting it done before you hit the classroom. Lesson Plans. Every year is different. I rotate themes every four years and sometimes implement a theme that is unique. For example, when Arizona celebrated its 100th Birthday, I planned everything around our Arizona Day. I have a whole year plan for every grade for the year—but I put all of the lessons for the first quarter in a new folder for that school year and have them ready in my PowerPoints. I do NOT print everything yet—I want to get a feel for the students I have in each grade first and let all of the schedules and calendar dates settle before I burn paper. I also have my playlists and music selections in folders for easy access. Tech Stuff. I get all of my gear, batteries and my computer ready before I go back to the classroom. Don’t give up—face those teacher fears. Want to know my secret? Keep reading! Something that I fear is that my students will be a blank slate. Since I’ve been teaching for a while, I realize that it’s not necessarily that my students don’t remember anything, it’s more that they are in a new grade and have the back to school jitters. One way to help them is to act as if they are a blank slate. That way, they won’t disappoint you! Fewer expectations will give you a chance to be “surprised” when they sing and sign, sing on pitch or play something easily. Your students will “love” you for being surprised and for complimenting them sincerely. This is a great way to connect with your students even on the first day! 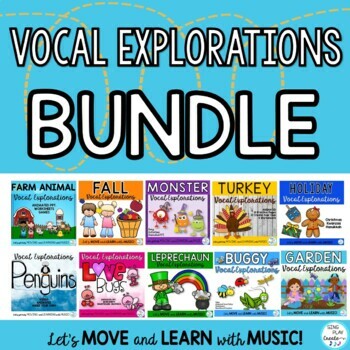 I just updated all of my vocal exploration resources so that my students can enjoy ANIMATED graphics. 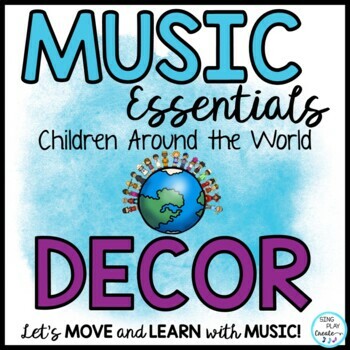 They are perfect for transition activities and can get your students into their “music brains” quickly. I’ll use them with Kinder through 3rd graders. I’m now going to share my secrets for conquering Back to School Teacher Fear. #1 I like to switch things around, use a new theme, decorate with new decor, sing a couple of new songs, add in more technology. Surprise your students with something new in your classroom! Like Decor! #2 (If you can afford it), buy a couple of new outfits, shoes or rework something old to be “new.” Get your nails done (this is a treat for me as I don’t always give myself permission to spend money on this all the time). #3 Break all of the tasks that I listed in this article into small “brainbreaks.” Plan an hour a day to work on your toughest “to do’s.” This year I cleaned out my garage, but it’s over 100º so I had to break the project into smaller steps so that over a weeks time I had a new cleaned out garage. #4 Remember to put your needs first and take care of yourself. That way you’ll be able to meet all of those “surprises” during the school year with more confidence. What Are Your Teacher Fears? 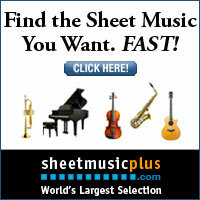 Got a pad of paper? A sticky note? A white board? What will help you the most to conquer your teacher fears? Brainstorm with your partner, friends, kids or even your pet—and get all those ideas in one place. Want the Free Planner to help you conquer teacher fear? Subscribe here to get the weekly newsletter and access to the FREE RESOURCE LIBRARY. If you enjoyed this article, please consider sharing it on your social media.